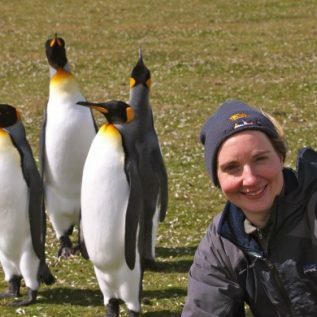 Heather Bouman is an Associate Professor of Biogeochemistry at the University of Oxford, and a co-investigator in the Arctic PRIZE project. My interests are in understanding and quantifying marine phytoplankton production on a global scale. My approach is to combine field observations with satellite remote sensing to improve knowledge of the factors governing the taxonomic structure and biogeochemical function of phytoplankon communities. I am also interested in exploring the utility of marine bio-optics and molecular biology as tools for monitoring the ecological and physiological dynamics of marine ecosystems.